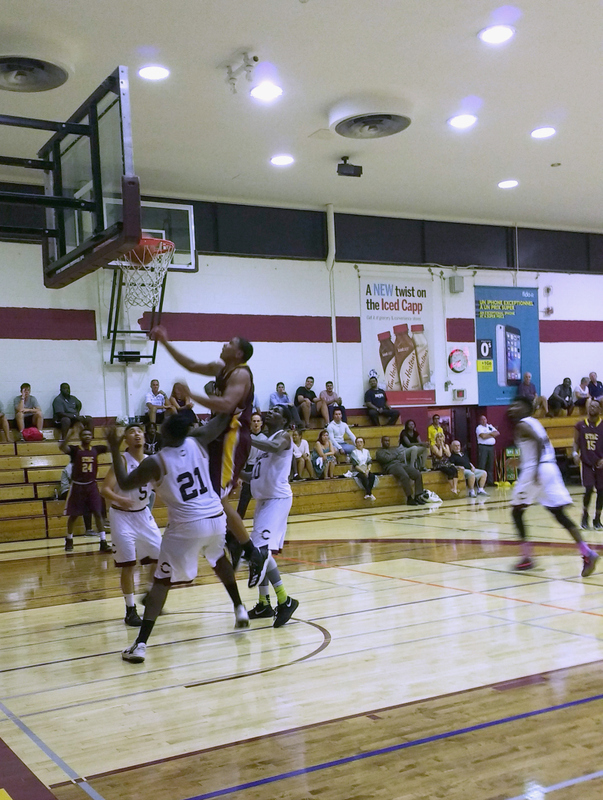 The Concordia Stingers men’s basketball team hosted the St. Thomas Aquinas College Spartans from Sparkill, N.Y. in a pair of games on Sept. 1 and Sept 2. The Spartans took game one winning 95-85 while the Stingers took game two with a 81-72 victory. The Stingers struggled in the early part of the game as the Spartans took a 4-0 lead. The Stingers got their first basket of the game on a three-pointer by guard Mikee Dosado which gave the Stingers momentum. Concordia ended the first quarter ahead 25-19, thanks to three-pointers by several players including two by forward Ken Beaulieu. Beaulieu finished the quarter with 10 points. The Stingers started the second quarter strong and hit their first few shots. With just under eight minutes remaining in the quarter, the Stingers had a nine point lead. The Spartans tied the game at 36 with two minutes left and then took a 47-42 lead into halftime. In the third quarter, the Stingers fought their way back and were close to tying the game. However, deep into the third quarter, the Stingers players hit a cold streak and were unable to make their shots. The Spartans took advantage, taking a 13-point lead. By the end of the quarter the score was 70-60 in favour of the Spartans. In the final quarter, the Stingers could not keep up with the high-powered offense of the Spartans. With five minutes left in the game, the Spartans led by 17 points. The Stingers got a few late baskets by guard Rowan Power to cut the deficit down to 10. The Spartans scored 22 points off of Concordia’s turnovers. For the majority of the first quarter, both teams took turns scoring and the game was tied. It was a three-pointer by Dosado late in the quarter that propelled the Stingers into the lead. After the first quarter, the Stingers led 17-16. To start the second quarter, the Spartans scored two early baskets to take their first lead of the game. The Stingers eventually retook the lead with three minutes left in the quarter. The Stingers hit three consecutive three-pointers by with duo Dosado and guard Nicholas Noble. Noble finished the first half going three for four from the three-point line. The Stingers went into halftime leading 37-34. The third quarter started well for the Spartans, as they tied the game at 39.The Stingers maintained a five point lead throughout the quarter and went into the final frame up 62-57. In the fourth quarter, the Spartans cut the Stingers lead to just three points with 40 seconds left. Beaulieu came up big in the final moments for the Stingers, as he hit a basket and then grabbed a steal which led to a slam dunk to end the game. These two matches against the Spartans were their final exhibition games against National Collegiate Athletic Association (NCAA) opponents. They finished with a record of 3-2.